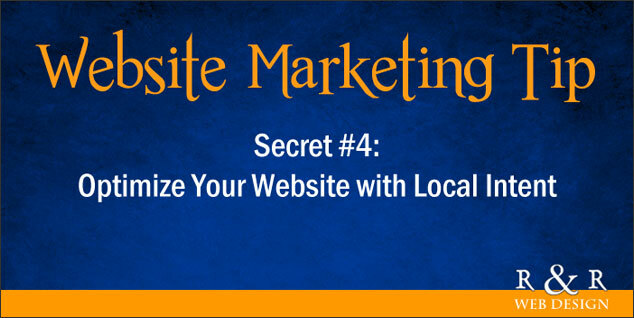 Would you like to maximize the local SEO of your website for local traffic? Do you know there are “secret weapons” to accomplish this? Local business owners frequently ask how they can maximize their websites’ search engine optimization for local rankings in search engine results. 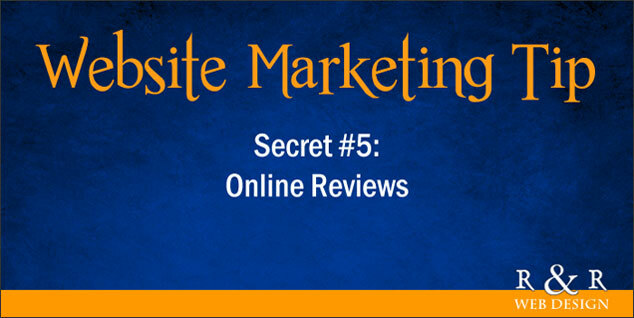 Some want a quick fix to help their sites get found in search results. More often than not, each and every one wants to place in the local pack and the top five to ten positions on Google’s search results for specific location based keyword phrases. 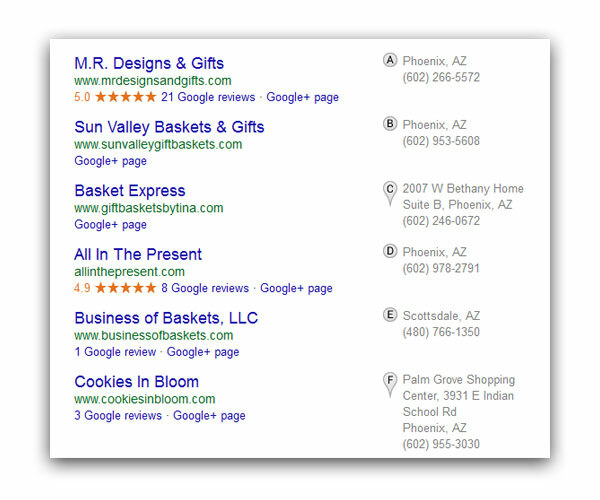 Here is an example of a local pack on Google’s search results for the search term, gift baskets Phoenix. The road to reaching top local rankings consists of a strategic action plan. 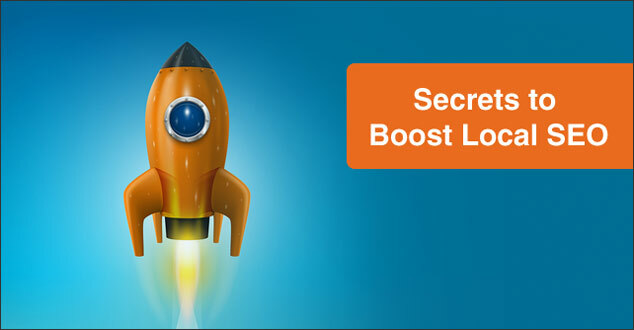 This is where the “secrets” to boost local SEO will help. 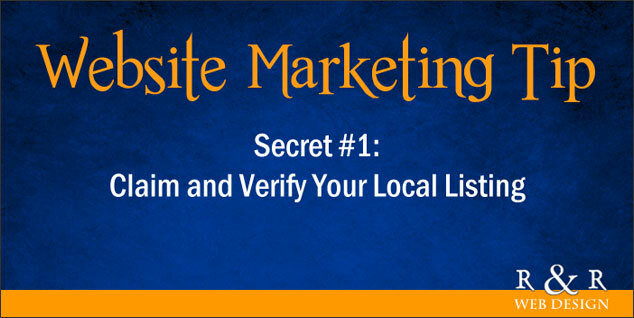 After you have claimed and verified your local listing, you will want to optimize it for your geographic area. Include your business name, local phone number, and address in your listing. You will also want to choose appropriate categories for the services and/or products that you offer. 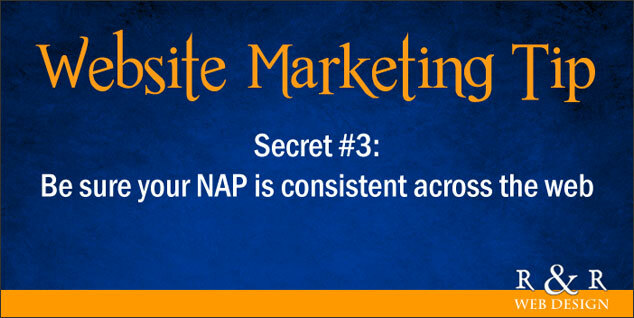 Be sure your website’s NAP – Name, Address, and Phone number is consistent across the web. This is absolutely necessary. You do not want to have different versions of your company name, address, and telephone numbers across the Internet. Include your location in the meta titles and descriptions of your pages. Integrate your NAP (name, address, and phone number) on each page of your website. Incorporate your location logically in the copy of your pages. Add a map to your website. For example, embed a Google map on your contact page. Encourage your customers to leave online reviews on your Google+ page, Yelp, and Facebook if they are happy with your work, but take great care in how you go about doing this. 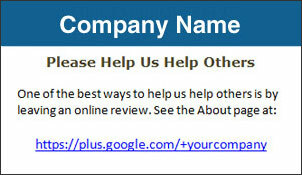 Create a business card and/or postcard asking your customers to leave a review with the URL of your business Google+ page. You can place the business cards in a conspicuous place as your customers check out or hand the card directly to them. If a customer emails you with a compliment, ask them to leave a review and provide the links to your Google+ and/or Yelp page(s) when you reply. Email your regular clients personally and ask for a review. Local customers will be more likely to leave a review. The reason blogging is a “secret weapon” is that many local businesses are not utilizing the power of SEO with blogging. Many sites have highly competitive categories and may have optimized or had their websites optimized, but are not seeing desired results. Competing businesses in the same categories may have used the exact same tactics and the race to the top is filled with one site barely trumping the next as they clamor for the same positions in search results. Blogging offers fresh content, something that search engines, especially Google value. Blogging provides the opportunity to capitalize on content marketing with articles tailored with specific keyword phrases. Creating unique and informative blog articles that offer your readers value does not have to be an overwhelming process. It does involve time and may involve money if you hire someone to write your articles for you. The benefits of blogging will be rewarded. As with blogging, many local businesses may not be taking advantage of a social media presence to interact with their local communities. Many are busy and do not want to invest time and/or money as they cannot see an immediate ROI. This is where the “secret” weapon of social media marketing can make a significant impact. Local business owners may not realize that social media marketing offers them the opportunity to engage with their local community and build relationships. Some business owners are simply overwhelmed with wondering which social network to use. It is important to find out where your local community is hanging out. According to statistics, Facebook is the number one social media network and it is most likely that your community is also using it. Twitter is also a popular favorite of many. Google Plus is huge for local searches results and posts on Google+ show in search engine results. 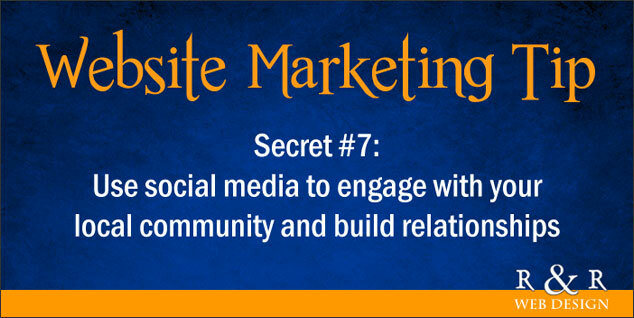 Establish a solid foundation for building your company’s social media presence. Offer quality content to post information and updates from your blog on Facebook, Twitter, Google+ and other social media platforms. You will need to test and determine what information works best on your chosen social media channels with regards to how your audience engages. For example, your audience may not respond well if you continually post advertisements or self promotional content. They may respond better to tips and news in your business niche. These 7 actionable “secrets” will take time, but the rewards will be worth all your time and effort. With a strategic plan implemented correctly, you could improve your chances of getting the upper hand on the race to the top in the local search engine results. Do you have any questions about how to optimize for local search results? Or, do you have a “secret” to add to this list? Please leave your thoughts in the comments below. BOY, are you sneaky!! WOW! Thanks so much!! I’m thrilled as can be that you chose Gift Baskets Phoenix as your example!! As you know, that listing is kinda secondary (we’re working harder on the flowers) and the things that are happening there are … well, kinda happening on their own! Like the google+ page that only has 18 followers (and no reviews). But I’m going to work on that! I love love love all of the help you give, and how simple you make your instructions (so even I can figure it out). You are THE BEST!! You are so welcome! I’m glad that you like my surprise. I do know that this listing is secondary, and I hope that these tips will help with your flower website. You sure have covered so much here for a local business. In today’s world they need to be online. Let’s face it, if we are looking for something what do we do? Google it of course! Having a location is one thing but having a blog about a business opens the doors to others to get a look inside. It has to be coupled with social media too. I get updates from my hair salon on Facebook and even email. They are starting their blog and have loads of information collected already. Doing all this makes the customer experience easier. As long as it is, one is going to stand out on Google or other search engines. Yes, it will take some time, but well worth it. When I’m traveling, I look up restaurants and if a restaurant is mobile and search friendly, especially having a blog and interaction with customers, I’m there! Yes, I agree that in today’s world, local businesses do need to be online. You are so right. A blog does give customers a look inside the business as well as social media. I appreciate you stopping by, Donna! Have a wonderful weekend ahead. I don’t have a local brick and mortar business but I can definitely relate as to why local business should take advantage of blogging and social media. Your customers have gotten smarter, trust building has become more of a challenge, and everyone’s on their mobile phones talking to someone on social media. With the stats you e shown here you see how quickly many people respond as well as how many out of 5 actually use local searches and take action. So with that said it would definitely be wise to be where your customers are which is online. Thanks for the share and you have a great up and coming weekend! You are so right. Blogging and social media are so important to both local brick and mortar businesses and those who do not. Customers have gotten smarter and trust building has become more of a challenge. I appreciate you stopping by and hope you have a great weekend, too! As usual, awesome information. 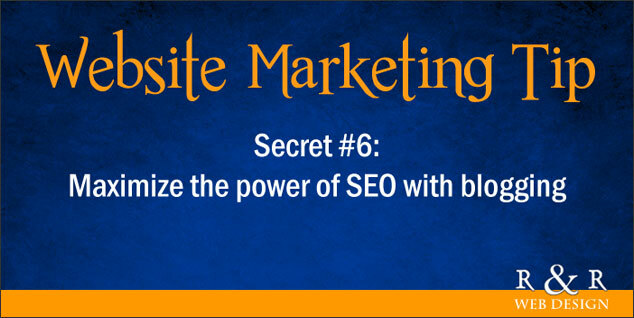 I am ALL over all things SEO as I’m trying to work on that for my site. Although this post is about boosting your local presence, I know that blogging and having a social media presence is everything to an e-commerce business as well. Thank you! I am happy to hear that you are interested in all things SE0. You’ve given me inspiration to create more posts on SEO. Great suggestions and tips. I am going to share this on my business Facebook page and with my clients. I am sure they will help. I appreciate it. It is great to hear that you found these tips helpful! I appreciate you sharing it with your clients on your Facebook page. Thank you! What an incredible article. You always share the BEST SEO advice! You are so kind! I’m glad to hear that you like this!